Been studying Sylvain Chomet, and attempted to design a character i his quirky french style. I particularly like the attention he has to anatomy and line quality with such exaggerated characters. 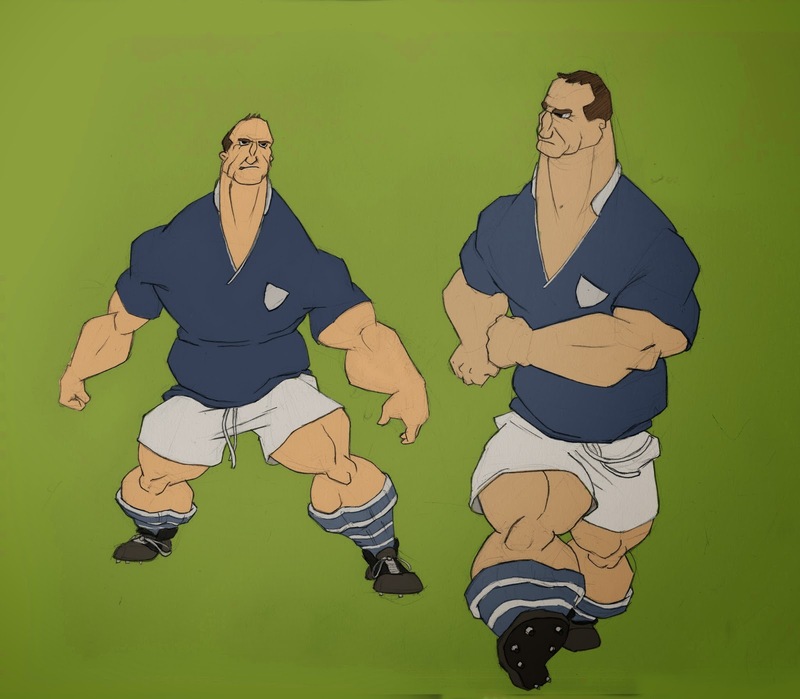 I made a rugby player, based losely on Lawrence Dilaglio. Not sure its very successful as a Chomet study. May produce a different character.